In February, 2015, Neil Pedersen became Executive Director of the Transportation Research Board (TRB). 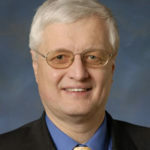 In that role he provides executive direction and leadership to TRB’s technical activities, including its annual meeting of over 12,000 transportation professionals, its more than 200 technical committees, its conferences, and its publications; its peer reviewed policy consensus studies; its multimodal cooperative research programs; and operation of the Strategic Highway Research Program (SHRP 2) naturalistic driving study safety database. From 2012 to 2015 Neil was Deputy Director for Implementation and Communication for SHRP 2. In that role he led TRB’s efforts to ensure that the products of the $218 million SHRP 2 research program will be used by state DOTs, MPOs, local governments, resource agencies and other implementation agencies. Neil spent 29 years at the Maryland State Highway Administration, where he served the last eight years as Administrator and Governor’s Highway Safety Representative. Prior to that, he was both Deputy Administrator and Director of the Office of Planning and Preliminary Engineering. Over his career Neil has been involved in volunteer leadership roles in both TRB and AASHTO. He chaired a number of TRB committees, including serving as Chair of TRB’s Executive Committee in 2011. He was also Chair of the SHRP 2 Technical Coordination Committee for its Capacity focus area from 2005 until joining TRB staff in 2012. At AASHTO he was Vice Chair of the Standing Committee on Highways from 2007 to 2011 as well as several AASHTO policy committees.